Make first impressions count... with professional quality Business Cards. Whether you choose double or single-sided, glossy or matt business cards, you can be sure that these are easy to tailor to your needs. 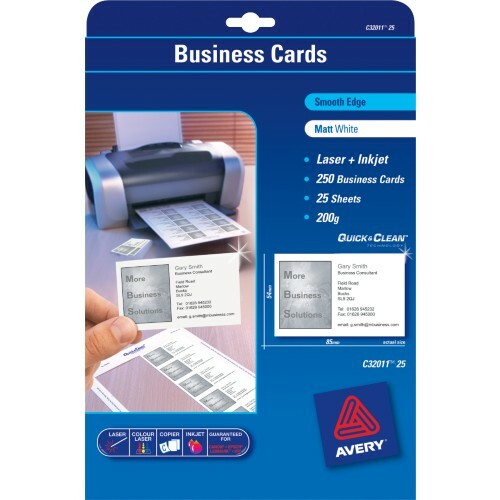 Quick & Clean™ business cards separate easily with clean, smooth edges for a professional image. You save money by only printing the number of cards you need. 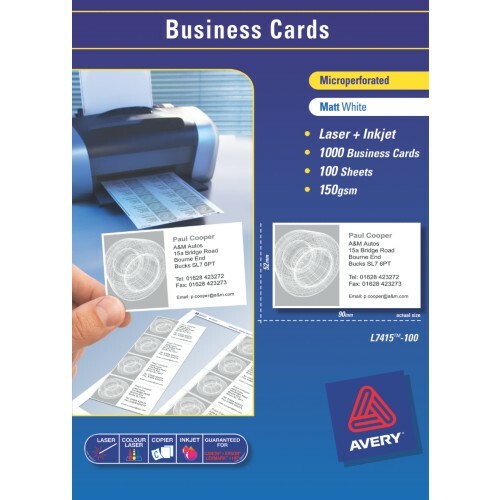 Take advantage of free software and templates from averyproducts.com.au to design and print your professional business cards from your laser or inkjet printer in minutes.